The Organization of American States (OAS) today hosted the Inter-American Forum on Indigenous Peoples of the Americas, which featured presentations and discussions by prominent indigenous representatives and national authorities regarding the next steps in the implementation of the rights of indigenous peoples. 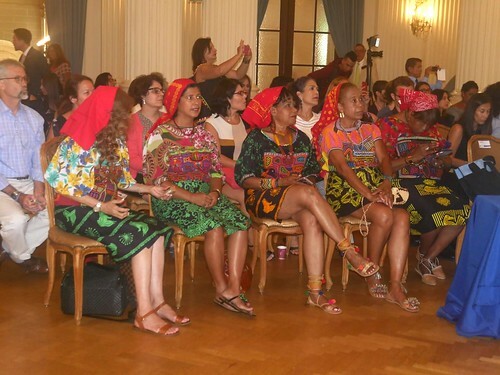 The event featured presentations on the implementation of the Plan of Action of the American Declaration on the Rights of Indigenous Peoples, the Indigenous Languages of the Americas, and the Rights of Indigenous Women. Participants in the forum included Armstrong Wiggins, Director of the Indian Law Resource Center, Washington, D.C (USA); Brooklyn Rivera, Foundation for the Promotion of Indigenous Knowledge (Nicaragua); José Víctor Estrada Torres, Technical Chief, Department of Intercultural Education, Ministry of Public Education (Costa Rica); Carmen Moreno, Executive Secretary of the Inter-American Commission of Women; and Rosa Iveth Montezuma, Miss Panama 2018, the first woman of Indigenous origin to win the pageant in Panama. The Forum is the final event in the OAS’ celebration of the First Inter-American Week for Indigenous Peoples, which included a visit by a delegation comprised of Permanent Representatives to the OAS, Permanent Observer States, representatives of indigenous communities and senior staff at the General Secretariat to the National Museum of the American Indian to raise awareness of the history and reality of the indigenous peoples of the region.